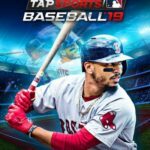 MLB Perfect Inning 15 is a new iOS/Android game from Gamevil that puts you in control of a Major League Baseball team. This happens to be one of the few titles for mobile that includes actual, real-life players. 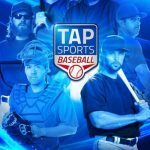 You can draft players from both the National League and American League to come up with an All-Star team, train your players and upgrade their skills, and take part in head-to-head games as you strive to become champion in the World Series. With this game out and the 2015 MLB season having started a couple weeks back, we’re now bringing you some MLB Perfect Inning 15 cheats and strategies to help make your playing experience perfect. This matters even if you are familiar with “America’s Pastime.” But if you’re not familiar, all the more reason to do so. It’s important to finish all of the game’s tutorials, which will give you 100 stars if you complete all of them. Stars, might we add, are the game’s premium currency, so getting a hundred through these tutorial videos will definitely be worth it. You’ll have the choice of swinging in auto-contact or manual contact mode when you’ve got someone at-bat. Auto-contact is far more recommendable, as it automatically positions your player’s bat. Manual, on the other hand, is best recommended for advanced players, as it requires you to control the bat all on your own. So if you’re just starting out in MLB Perfect Inning 15, there’s no other way but to swing in auto-contact mode. This should undoubtedly be familiar if you’re a longtime baseball fan or player, but if you aren’t quite familiar with the game, you can go for a pickoff to prevent anyone who’s on base from reaching home. Basically, you’re ostensibly pitching, but eventually throwing the ball to someone on the base of your choice. Just remember to use this strategy wisely, as picking off too often would tire your pitcher. You can also employ a more aggressive strategy by setting leads, or making runners trying to advance to the next base for each lead-off. But here’s where things get interesting – attempting x4 leads too often would result in your team getting outdone by opponents with pickoffs. You’ll see a box with a blue circle when it’s your turn to pitch. And you’ll also notice a red dot inside the blue circle’s center; there will be a ring moving constantly, jumping in and out of the box, and when you’re pitching, you should always throw when the ring is located right in the center of the red dot. 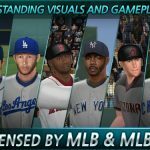 This isn’t like your typical baseball management simulation like Out of the Park Baseball (OOTP). 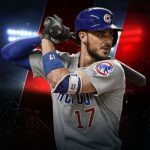 In MLB Perfect Inning 15, you can’t actually micromanage your team; in fact, you have to be sure all team settings are good to go before you start a season, because you cannot make any changes until the season is over.